I have two very different daughters, well I also have Bella but she is still little and I call all the shots with her. Abby, my almost 13 year old, YIKES I almost have a teenager, is very easy going, laid back and not-so-girly! Hailee, my 10 year old however is the complete polar opposite. She loves all things pink, girly, sparkly and glamorous! Ever since she was able to talk she requested nail polish, makeup, dresses and high heels! I can recall many mornings where she would be in complete meltdown mode because it was -30 degrees outside and I would not let her wear a dress to daycare or school. I would be lying if I said she has outgrown that, we still find her trying to sneak to school in summer dresses in the dead of winter! I knew this year for her 10th birthday I wanted to do something special for her, I wanted to have a party that she and her little friends would rave about and remember for a long time. 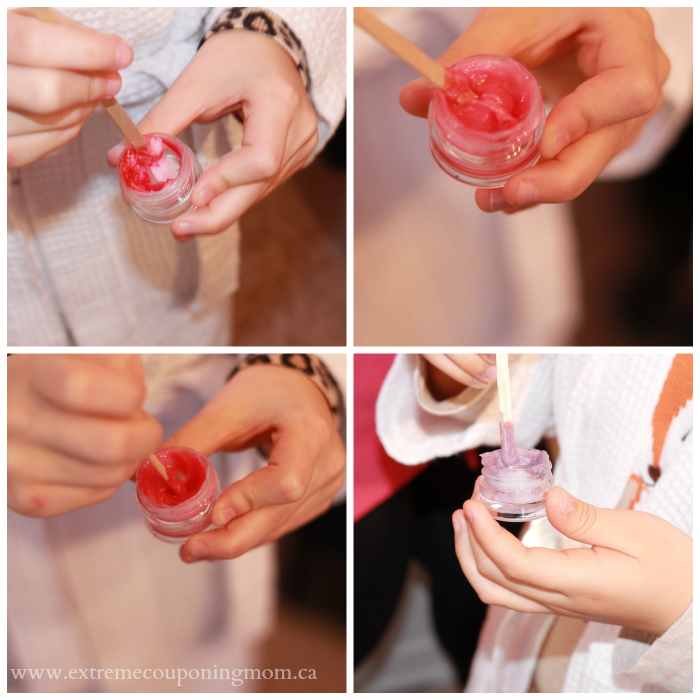 I considered many party ideas but nothing beat taking the girls for an amazing day of pampering at our local Glama Gal Tween Spa in Markham, Ontario. This would be Hailee’s first time visiting Glama Gal Tween Spa, she had excitement in her eyes and all the girls did too! They talked about what colours they wanted to get on their nails and there were lots of giggles on the drive to the spa. We were having their ‘Be You Tween Party’ package for the girls with a few add-on’s like a DIY Bath Creation and a Funky Hair Style. Upon entering the Glama Gal Tween Spa the girls were greeted by the very energetic, bubbly staff. The girls were given robes to wear during their spa services. After they put on their robes the music started to play and it was time to have a blast! This first service the girls got to enjoy was their Dessert Inspired Pedicure. The girls enjoyed chatting, reading magazines and giggling non-stop during their pedicures. I will admit I was a tad jealous, it had been a long winter and my toes wanted a pedicure too. 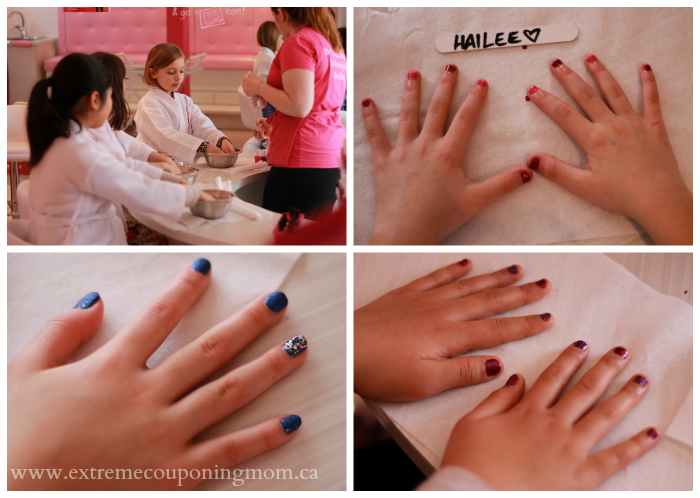 I definitely plan on taking Hailee back for a mom & daughter spa day so I can join in on the fun! The glitter pedi’s were so cute and each girl picked out their own polish. Of course Hailee went for the glitz and glam of gold sparkle polish. How awesome is ice cream during a pedicure? Pretty awesome if you asked all the girls, they loved nibbling on ice cream in between giggles as they got their pedicures done! After those amazing pedicures Hailee got to choose a special DIY Bath Creation for her and the girls to do. I had a strong feeling my little diva would pick the DIY Lip Gloss station. She has loved make-up ever since I found her “borrowing” mine <– a.k.a my make-up all started to go missing and I would find it hidden in her room as a toddler when she would come down for daycare with eye shadow and lipstick on. I tell you as a toddler she did her make-up better than I did as an adult LOL! The girls enjoyed choosing their colours for their lip gloss and mixing it all together. I also wasn’t surprised when Hailee went for the glam red for her gloss. She is my bold girl. The brighter, bolder and more glamorous the better in her mind! Time for some Dessert Inspired Manicures! The girls were excited to pick out polish for their nails and it was nice to see that the girls were all individuals picking out different polishes. Their hands enjoyed a nice soak, massage, nail file and polish. The “party nail” was a huge hit and most of the girls wanted one nail to be topped with glitter! These girls were totally pampered. After the mani’s we headed for a Cucumber Mist Facial Spritz. The girls participated in some meditation which was fun to watch. Some took it very seriously and others giggled along the way. The girls also each got a Glama Gal Tween Spa Funky Hair Style. They each picked out their fave colour for their feather hair extension which easily clips into the hair. 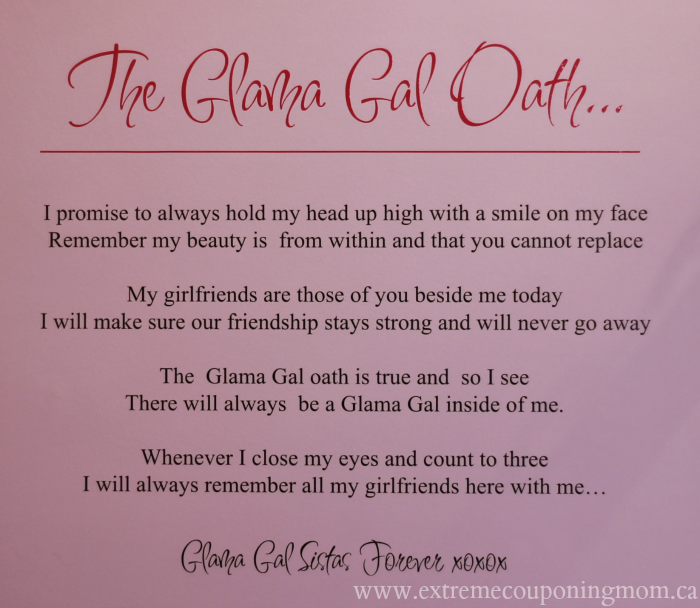 Before we headed to the party room to enjoy some pizza, pinkatinis and some cupcakes the girls participated in the Glama Gal Oath. I am going to admit I fully teared up during this. The girls held hands and recited the oath and it was so touching! I love that Glama Gals stands for encouraging, inspiring and teaching girls to be confident, be positive, be themselves and most of all be a good friend! Can I have my next birthday party here please? The party room is so pretty! 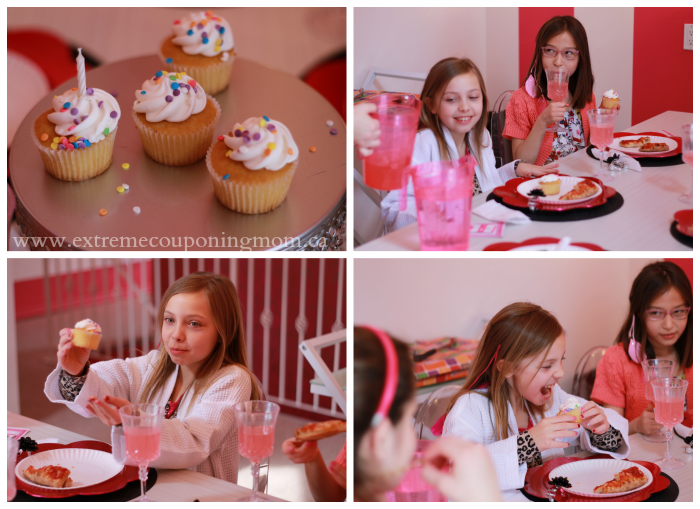 The girls enjoyed more laughs as they ate their pizza, devoured their cupcakes and washed it all down with a delicious pinkatini! 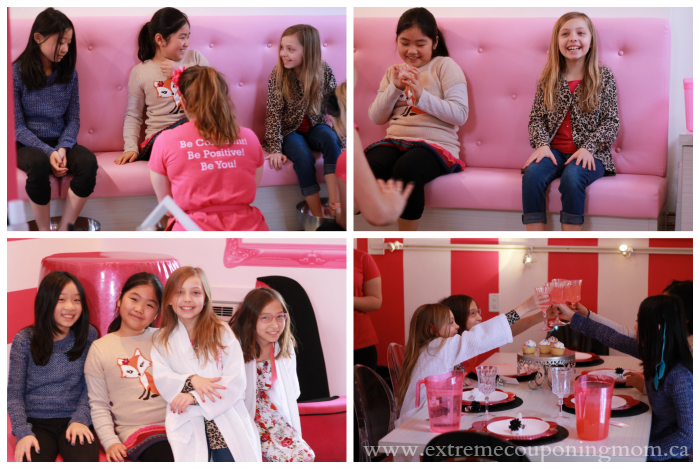 Hailee had such an amazing 10th birthday at Glama Gal Tween Spa with her girlfriends. 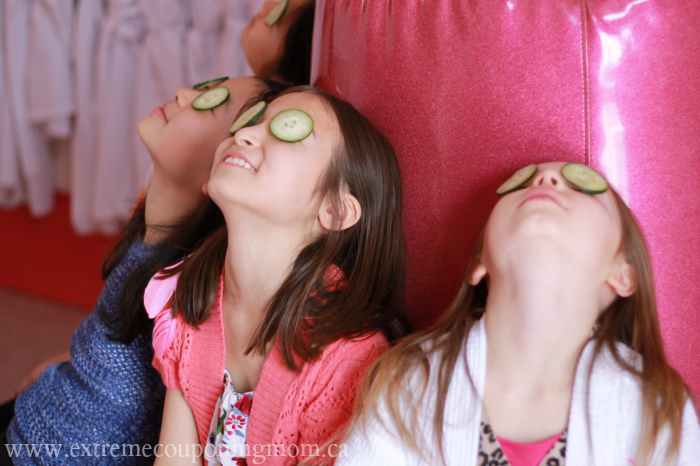 So much so they still all talk about it and can’t wait for the next birthday party at Glama Gal Tween Spa! A HUGE thank you to the crew at Glama Gal Tween Spa in Markham for such an amazing day for my daughter and her friends! They loved every minute of their time at the spa and especially loved the dancing and just being free to be themselves. Connect with Glama Gals on Twitter, Facebook, and on Instagram. If you are interested in booking a birthday party or just visiting the spa for some wonderful services check out their website for all the party packages and services they offer! Also a NEW Glama Gal Tween Spa will be opening up this summer in Blue Mountain! 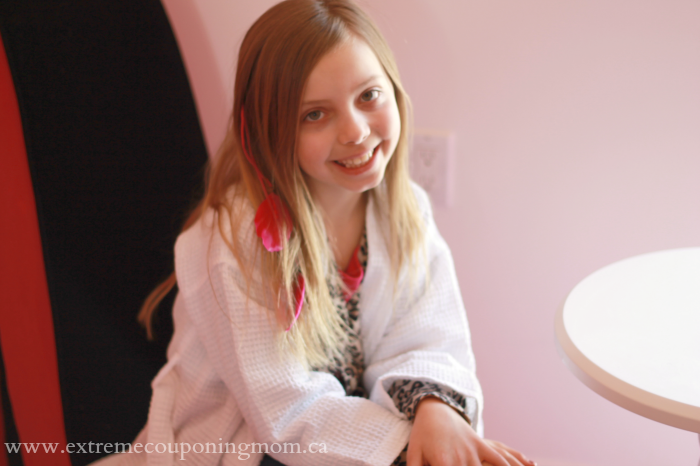 Disclosure: I am a Glama Gal Tween Spa Ambassador and although this post has been sponsored by Glama Gal Tween Spa, the opinions and language are all my own, and in no way do they reflect Glama Gal Tween Spa. Any product claim, statistic, quote or other representation about a product or service should be verified with the manufacturer, company, provider or party in question. I have nothing but amazing stuff to say about Glama Gal. 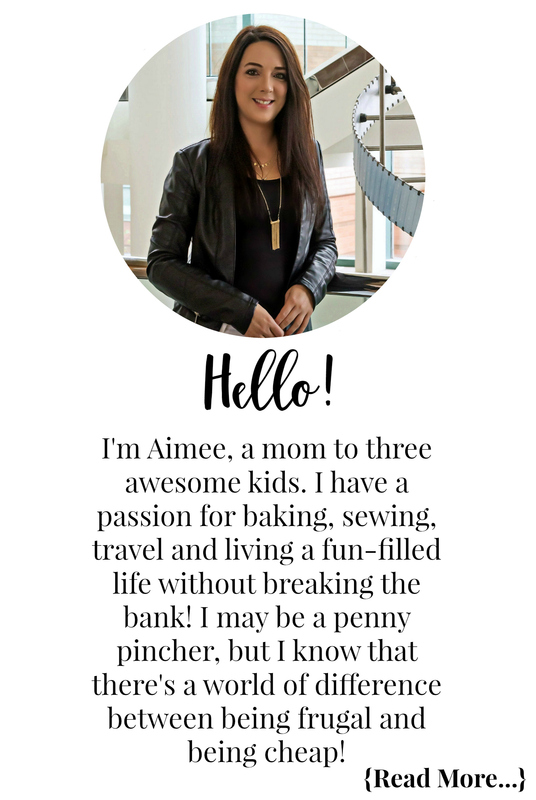 I have been a Glambassador for over a year and I love, love, love this place! 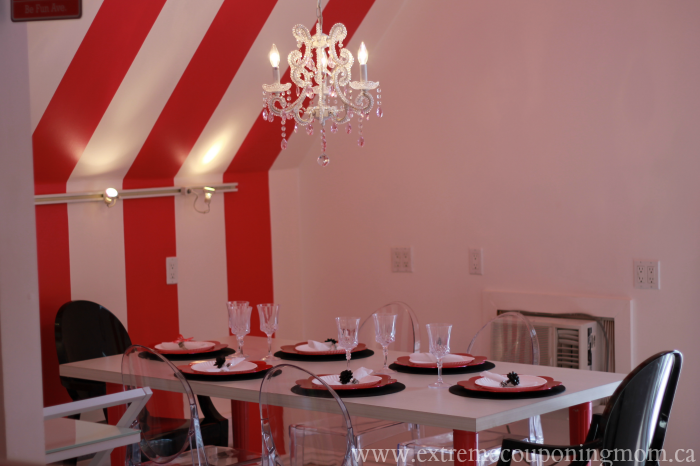 My daughter has had 2 parties here and they have been perfection every time! It looked like your daughter and her friends had a blast!